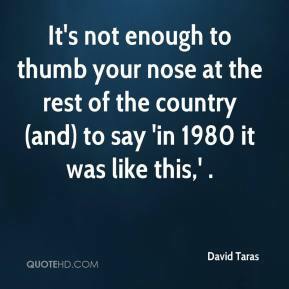 It's not enough to thumb your nose at the rest of the country (and) to say 'in 1980 it was like this,' . 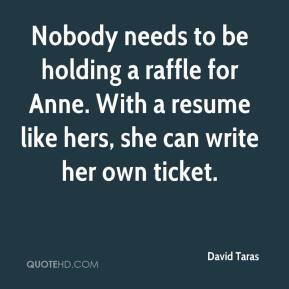 He's pre-empting any opponents by saying he's already leaving. 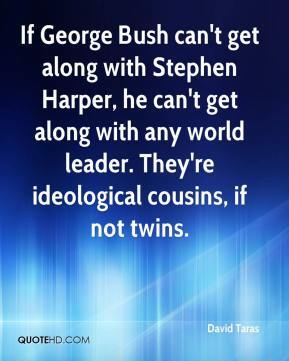 If George Bush can't get along with Stephen Harper, he can't get along with any world leader. They're ideological cousins, if not twins. 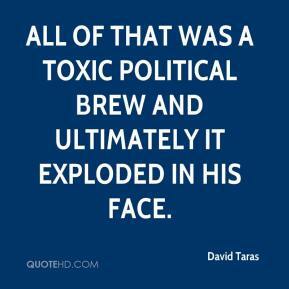 All of that was a toxic political brew and ultimately it exploded in his face.